The café is within the castle walls in a room which was formerly the guardroom in the 13th Century part of the Castle. The café is open daily between 10am and 4pm and serves scrumptious home-made light lunches from 11am. Tea and freshly ground coffee, homemade cakes and treats are available all day. We have seating outside in the garden were you can enjoy the peaceful surroundings whilst enjoying your refreshments. 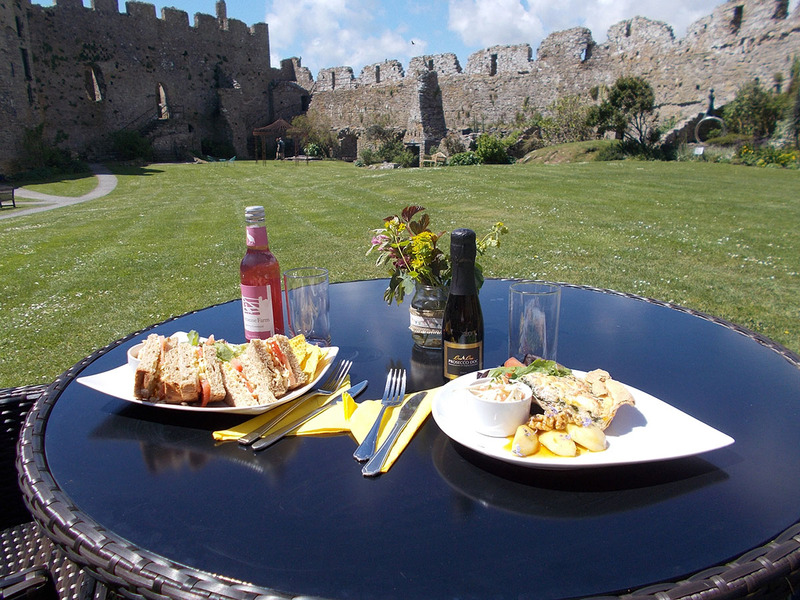 We can also provide takeaway food/drink and picnic lunches (pre-book).